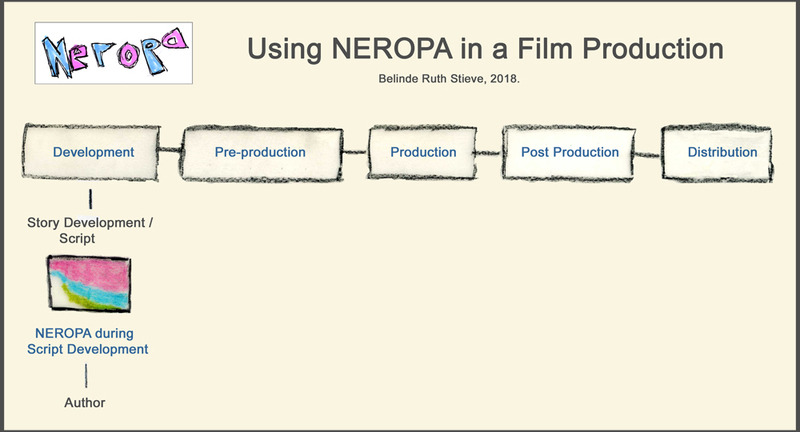 The NEROPA method was developed for finished scripts, to reduce the gender imbalance before shooting and before the casting process is start. However, the NEROPA principles can also be applied successfully at an earlier stage. In most cases the course for gender distribution in films is set very early. The leading character, the protagonist and antagonist, the two or three roles in the centre are in most cases created at the beginning, and their gender is determined as well. 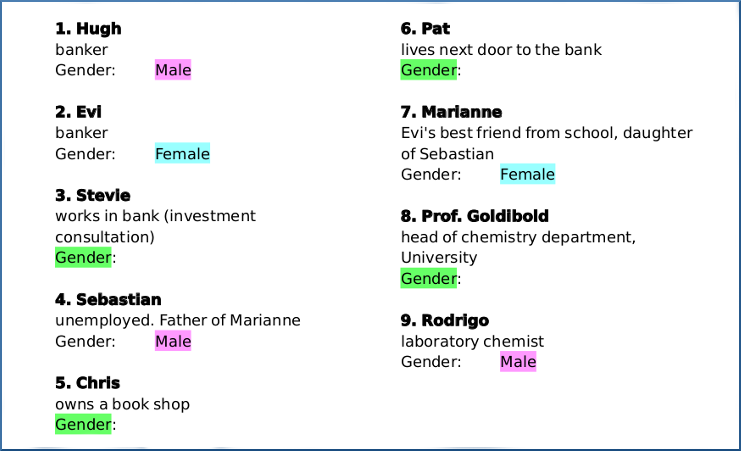 In the course of developing the script, as writing time goes by, during the various phases of the script (see also: DramaWiki: Text-types) other characters are added so that in the end there are 15 or 25 or even more speaking roles. I can imagine leading characters will be drawn in greater detail and revised numerous times. This happens less often with supporting roles and least with the nameless smallies. With them it may just be the basic question of in-or-out: Do I keep “neighbour“? Or does he have so little to say that I can merge him with “postman“? With some characters, there‘s no need for deciding their gender for a long time. They are neutral and can be actively and visibly classified as such, quite officially. Be inventive! (teacher, police officer, plumbing person, acter, chippy shop). While the script is growing and the story getting more depth, reasons why Chris and teacher have to be male, and Stevie and plumbing person female may come up. The others will remain neutral, and in the end can be changed using NEROPA. Or you simply leave them as neutral and pass the cast list on like this to the production and particularly to the casting director who then will suggest acting people most suitable (see also The Future is Now).